Today we spent the day on Lake Freeman. I spent some time on the water as a kid, and it is great to get out on a boat again. I took the camera out today to see if I could capture some pictures. 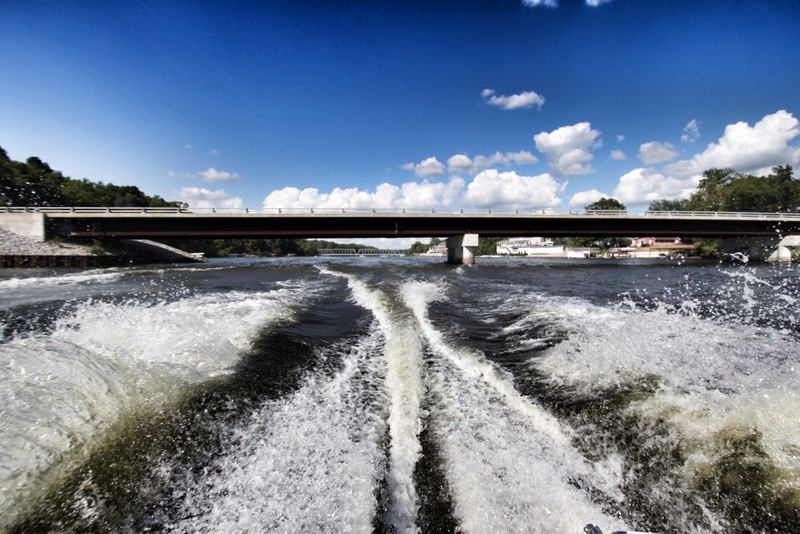 I had some ideas in mind prior to heading out, but it was this simple shot of the wake that caught my attention. Sometimes it is the simple things that make the best pictures. Today I did not feel like waiting for my computer so I edited the photo in Snapseed on my iPad. I clicked on the dramatic tab and added a little drama and saturation to the shot. I think it made a flat shot look better. I think messing with the white balance in Lightroom could have gotten me close to this. The final step was a small straightening adjustment. Moving fast on a boat is a bumpy proposition. Keeping the camera still can be a chore. I came close, but it still needed to be straightened.